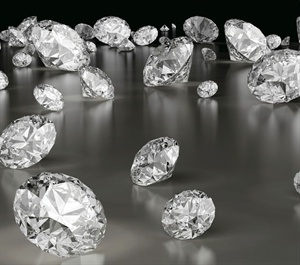 Diamond dust is the material leftover from cutting diamonds. Its hardness makes it desired for a wide variety of uses. Nail files coated with diamond dust stay sharp and last a long time, and some polishes and nail treatments have diamond dust to resist chipping, to strengthen the nail, or for their shimmer effects.